Fabulous home available in sought after Alaqua Lakes! Many updates and upgrades! Three bedroom home with very large secondary bedrooms, all with private baths. All bathrooms have beautiful granite countertops. The home office with wood floors, and views of the pool offers a quiet place to work, with beautiful views! Living room and family room both look out onto the gorgeous pool and paver patio! Kitchen offers high end appliances, granite counters and a customized island which has been expanded and includes a wine refrigerator. Family room has 5/1 surround sound and a triple slider offering seamless entertaining onto the patio! All mounted TVâs remain as does the washer and dryer. The outdoor area is a beautiful place to relax or entertain! Privacy abounds and the yard is fully fenced. The proximity to the neighborhood park is a plus! Alaqua Lakes offers a seven acre park complete with sand volleyball court, playground, basketball courts, Jr. Olympic sized pool, pavilion and tennis courts. The five tennis courts and Har Tru surface and there is a full time tennis pro on staff who offers lessons and clinics. 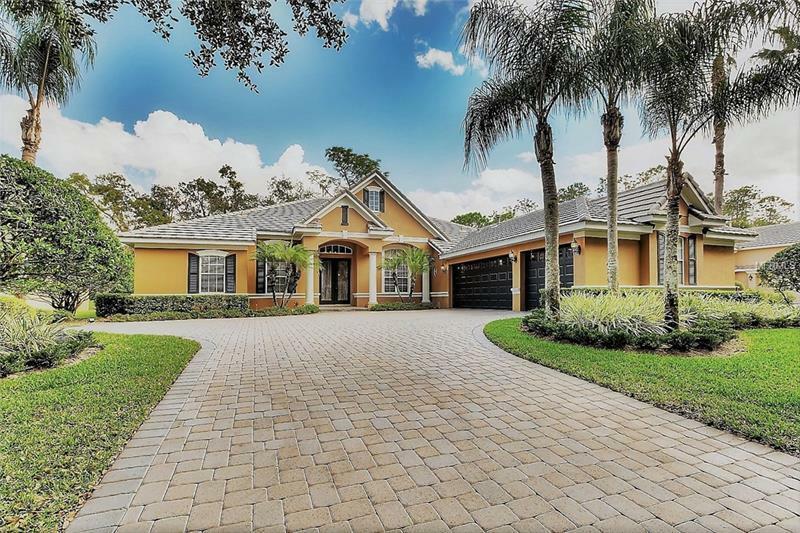 All this within a 24 hour fully manned guard gated community surrounded by one of the nicest private golf courses in the area! Come and see this beautiful home and community today, you will not be disappointed!! !